Online ordering menu for Waffle Brothers - Cherry Creek. Welcome to Waffle Brothers. Two real estate brokers devoted themselves to the creation of a Waffle. 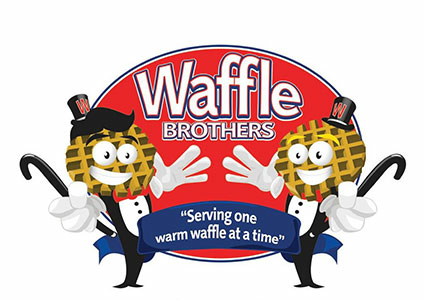 In March of 2010 the brothers established the first Waffle Brothers restaurant. Now there are two locations in Denver. We serve original, vegan and gluten free waffles with variety choice of toppings. Other assorted breakfast items are available, including breakfast bagels, sandwiches, milk shake, coffee and more. Give us a try and you will love us. We are located at 700 E 1st Ave, near N Washington St and N Clarkson St. Just 6 minutes drive away from Cherry Creek Shopping Center. Order Online Now for Takeout and Delivery!